To people like us, football people, who measure time in two blocks of five months bisected by Christmas and New Year rather than in calendar years, June is one of those months where literally nothing happens. June is just an aching chasm of DIY chores you have repeatedly put off while Leeds steamroll towards 15th place in the league again, or trawling around the shops for holiday clothes while checking your phone for transfer gossip even though every man and his dog connected to Leeds United is already on holiday. June exists only to coax us into an unnatural, but mercifully brief, interest in tennis, and furthermore, it usually works. June represents a time when footballers are supposed to unwind and re-charge themselves, but for fans, while it might offer some precious respite from the emotional drain of following Leeds United, it drags like the last school day before the summer holidays and leaves little or nothing to remember it by. That said, every other year there is an international football tournament to look forward to, and if England have anything about them, they have sailed through their qualifying group with ease and are nicely poised to offer a reliable substitute for that comforting sense of crushing disappointment and anti-climax that all us Leeds fans need in our lives. 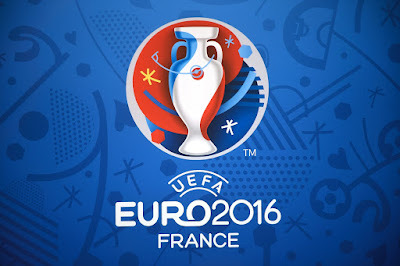 Yes, Euro 2016 begins this week and there is even more interest than normal this time around with England joined by Wales, Northern Ireland and the Republic of Ireland in the group stages. This rare feat has perhaps been aided by there being 24 teams in the finals rather than the usual 16, but nevertheless, there are unprecedented levels of interest and excitement with household names parading around in almost every match. International tournaments are quite literally a feast of football. Even though the games prior to the knockout stages are sometimes a bit of a let-down, we are quite prepared to take that chance as we settle down for wall-to-wall football that doesn’t involve traveling up and down the country at all hours of the day and standing outside in the freezing cold shouting obscenities at Scott Wootton. It is almost like international tournaments are a release from the everyday travails of being a Leeds United fan, and we can enjoy football for just being football; sport for sports’ sake, with none of the political, legal and financial farce that regularly engulfs life at Elland Road. Not that England, or whichever of the home nations you are following, don’t have the ability to let us down of course, but with international football the sense of expectation and emotional intensity isn’t quite the same, and you can enjoy the games more as a regular football fan. Needless to say, having three games live on TV every day for a fortnight during the group stages doesn’t always go down so well at home, and there will doubtless be some domestic ructions when Iceland v Austria clashes with EastEnders. While you can attempt to pacify this impending breakdown in family relations by lamely pointing to your ‘Euro 2016 match-by-match TV guide’ and explaining that you didn’t select the fixtures and this particular conflict was a known possibility many months ago, it is perhaps wise to avoid a season ticket for the dog house and plan ahead a little. So we have the perfect solution for you. Avoid family disputes and hostilities altogether by spending almost every afternoon and evening for the next month in the Old Peacock, but this time with your partner’s blessing. Possibly. 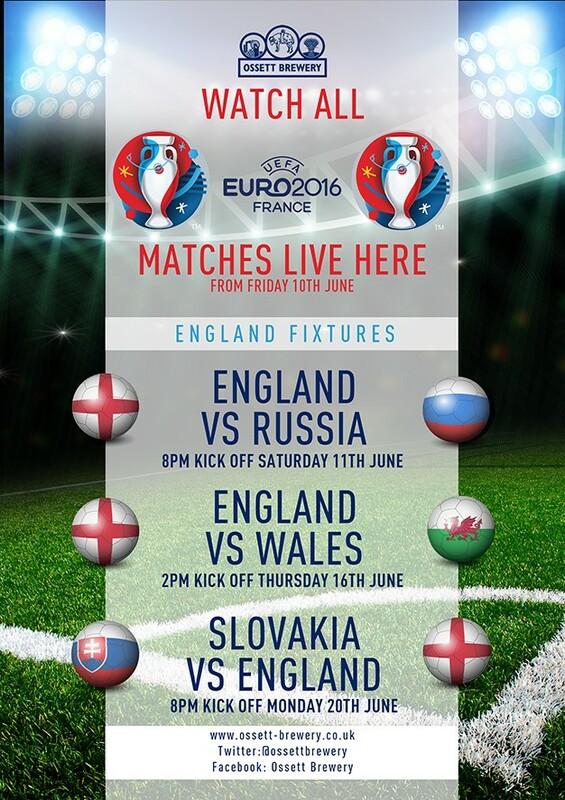 Yes, we will be showing every game from Euro 2016 on our big screens, so you don’t have to worry about being absent for a single minute of any game. In truth, we’re missing the action at Elland Road ourselves, and we kind of long for your company over the summer, so while this is an inferior substitute for the real thing; a bona fide match day at Elland Road, we are hoping to see as many familiar faces in the pub over the next month as possible, and hoping that the heady mix of beer and football will rouse a familiar match day atmosphere. Dates to look out for include England’s first game on Saturday June 11th (8.00pm) v Russia – when we also have a 50th birthday party in the pub, so the atmosphere should be particularly lively when Roy Hodgson’s men kick-off. Wales are also playing their first game on Saturday afternoon (5.00pm) before the England game, while Northern Ireland start on Sunday 12th (5.00pm) v Poland and the Republic on Monday 13th (5.00pm) versus Sweden. National Sicknote Day has been declared for Thursday June 16th when England play Wales at 2.00pm and a nation grinds to a halt for a couple of hours. England’s final group game is on Monday 20th June against Slovakia (8.00pm) and after that it would be foolish for us to predict when England might be playing again or to plan too far ahead. There are certainly parallels between following Leeds United and England, except that where Leeds United are pretty much stuck in a rut at the moment, England are caught in a continual cycle of nagging inevitability. Each major tournament ends with an early exit, following which we tend to write-off the next tournament in two years’ time and work towards having a team ready for the one after that, even though the media will never actually allow that to happen in reality. Having breezed through qualification we then hail a team with a nice blend of youth and experience and usually champion an individual as the best thing since sliced bread. But then in the weeks before the tournament we are ravaged by self-doubt, still experimenting with new players in the final friendly and have no idea what our best Xl is. While other teams have a settled side working to a familiar pattern, England approach their first game still arguing about which formation to play. And while flags are still hauled out of storage and proudly stuck on cars, more in diminishing hope than expectation, the inevitable early exit comes along and we are back at the first stage of the cycle again. But perhaps we should be more hopeful given England’s 100% record in qualifying? And certainly with a lot more interest in the home nations this time around, we are looking forward to the next few weeks and hopefully some busy afternoons and evenings in the pub. The combination of a cool refreshing pint, football on the TV and maybe a bite to eat to keep you going, is a traditional winner and we definitely have plenty of all of those to keep you out of mischief during June. So you can blame us if the family don’t recognise you by the time July comes around. In the meantime, we’d like to extend a warm welcome to Garry Monk as the latest incumbent of the head coach position at Leeds United. 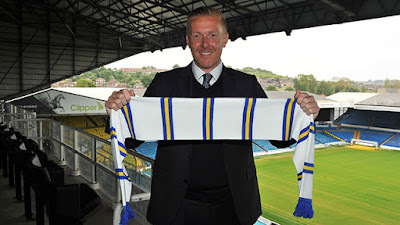 While we can joke about the revolving door at Elland Road this is almost definitely the best appointment we have seen in recent years, and we just hope that Garry can keep his position for many years to come. Good luck Garry and you are welcome to stop by for a pint any time you are passing. 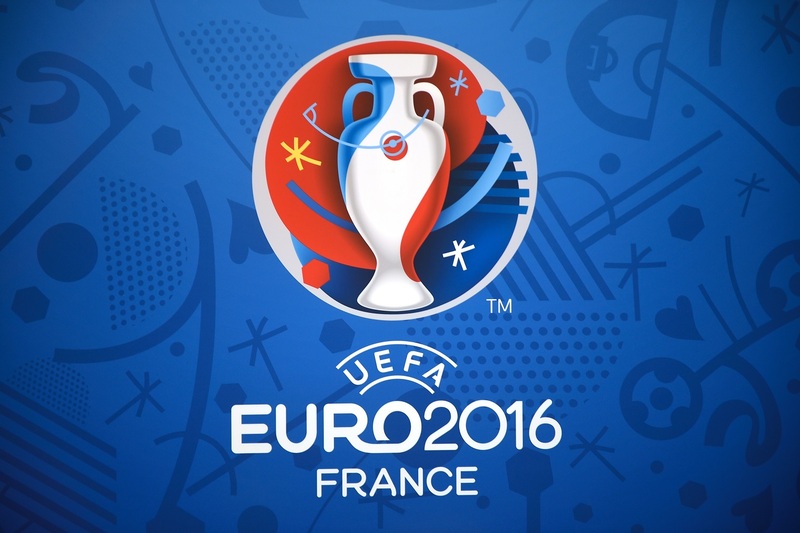 There will be all the normal food and quiz events going on throughout the Euros tournament, but for any special announcements, log in and check out our Facebook and Twitter accounts for all the latest news.